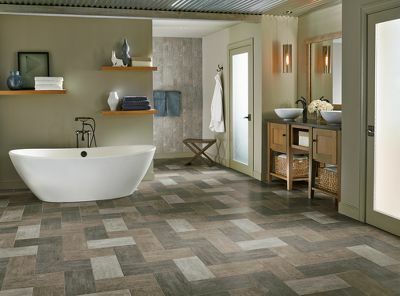 Armstrong's Alterna is a vinyl luxury tile offering elegance that stands the test of time. 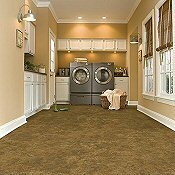 Vinyl flooring that has the look of slate, marble and even travertine all coupled with flooring that is easy to live with. 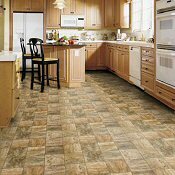 Alterna Luxury Vinyl Flooring may have the great look of stone tile, it is actually very comfortable and warm, and has sound absorbing qualities as well. Entirely new collections of designs that are urban inspired and feature the look of concrete infused designs, motifs, linen and even timber look and texture. 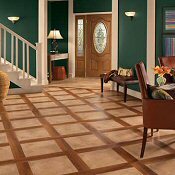 We offer you the real look and texture of ceramic, stone or hardwood, combined with easy installation and carefree maintenance. 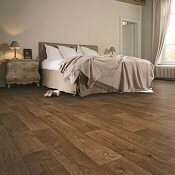 Flexitec offers vinyl flooring to coordinate with any interior scheme. The extensive range of choices gives you unprecedented design possibilities. 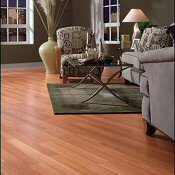 Our wide assortment of cushioned vinyl flooring comes in an incredible array of colors and paterns to suit the style of any room in your house. 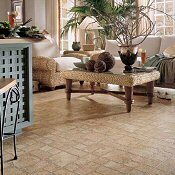 Now you can have the look of a high end tile floor with the warmth and feel of vinyl. The Floor Authority offers information on premium Vinyl Flooring, Congoleum Vinyl Flooring, Congoleum Room Vision and serves local information to the greater Brodheadsville, Tannersville, Stroudsburg, Poconos, Hazleton, Lehigh Valley, Allentown, Bethlehem, Easton, Nazareth, Wilkes Barre, Scranton, Monroe County, Pike County, Carbon County, Luzerne County, Lehigh County areas and all of Northeast Pennsylvania, PA, 18322 and the 570, 610, 215, area codes. We offer information and retailer and installer listings for premium ceramic tile, porcelain tile, imported tile and highly skilled tile contractors. Our listings of local and regional tile stores makes us more than your average tile information source as we also offer information on the finest in area rugs and specialty flooring from Mohawk, Shaw, Dal tile, Ceramica, Delconca, Saloni, BR-111 flooring, Homer Wood flooring, Oshkosh flooring, Century flooring, Harris Tarkett, Witex, Karastan Carpet, Mohawk Carpet, Shaw carpet, Shaw area rugs and more!